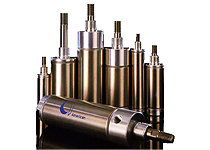 To learn more about the Pneumatic & Fluid Power products we sell, please contact us directly. 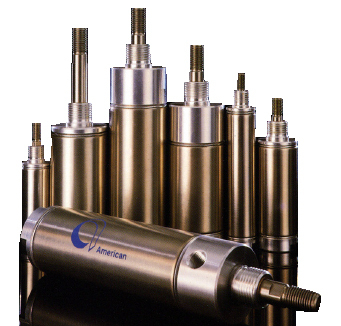 American Cylinder offers a variety of products including Non-Repairable Pneumatic Cylinders, Low Profile LPC-Series Pneumatic Cylinders, Special Design Pneumatic Cylinders, Linear Slide LSC-Series Pneumatic Cylinders, Flow Control Valves, and Tie Rod Pneumatic Cylinders. 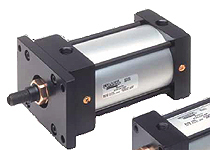 Non-repairable Pneumatic Cylinders: American Cylinder offers a variety of products to satisfy your small bore air cylinder requirements. Choose from the industrial interchange Stainless Steel Series air cylinders, the Heavy Duty Aluminum 76-Series air cylinders, or the Corrosion Resistant CR-Series air cylinders. Sensor switch actuation capability is available on most models. Stainless Steel Pneumatic: Can be ordered in the following models: Single Acting (bore size ranging from 5/16” – 2”), Double Acting (bore size ranging from 5/16” – 3”), or Reverse Acting (bore size ranging from 5/16” – 3”). Benefits include: threaded piston rods which are anaerobically sealed and machine staked into the piston for triple protection; high strength aluminum alloy end caps; oil impregnated sintered bronze bushing; and prelubricated with high endurance oil mixture. Flow Control Valves: Designed to fit directly onto American’s air cylinders, American Right Angle Flow Controls offer outstanding features and benefits at the most competitive prices. The Series II valves offer quick connect/disconnect and the Series III valves offer a threaded connection. 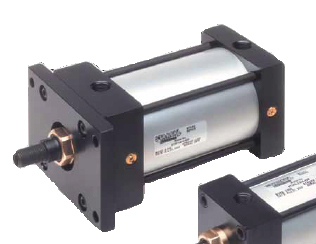 Benefits include: Full 360° rotation; nickel plated brass construction allowing for high linear flow & precision control; and optional adjustment using a manual knob or screw.